A beefier version of the Race 2.0 crampons, the SkiMatic 2.0 Touring edition features a steel toe and anti-balling plates. The novel attachment system is the same, with the levering bail at the front of the boot instead of the rear. This solves many boot compatibility issues due to collisions with ski/walk mechanisms and pivoting cuffs in general. The Touring model is equipped with a steel toe that will take some abuse from rock and kick further into hard ice. The heel remains aluminum to keep things light. Anti-balling plates prevent underfoot snow buildup which can be dangerous. The SkiMatic 2.0 Touring crampons are rugged, light, and quick to put on. 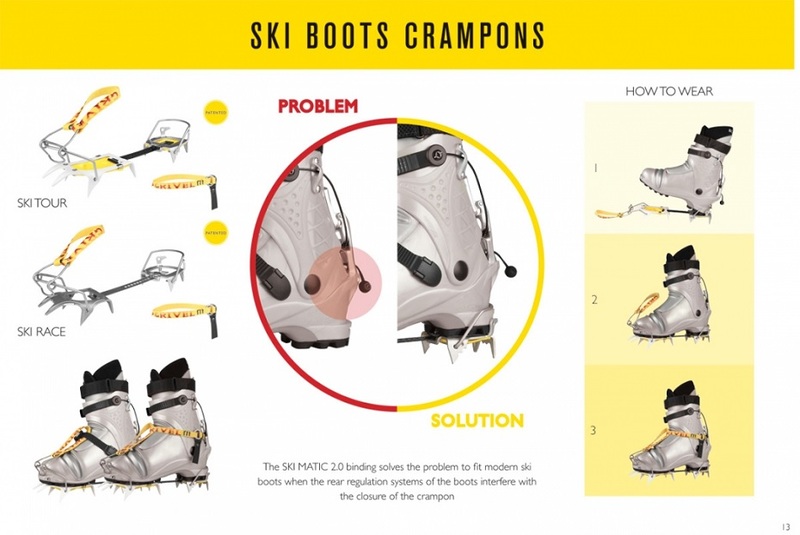 SkiMatic 2.0 attachment system quickly levers onto the toe of a ski boot. 6 steel points in the toe combine with 4 aluminum sharpies in the heel. Webbing strap can be used for leverage and secured with a boot buckle. 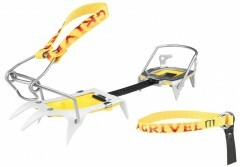 Stiff linking bar will hold up to abuse and keep the crampons on your boot. Included optional ankle strap attaches to the heel for extra security. Included carry case is durable and has a mesh top to allow for drying. Bottom Line Great all around crampon. Any chance you have a Hawx XTD to test fit these on? Curious about them but can't find a pair locally to test fit. Hey Jacob! I just tried them on the XTD 130 and it seemed to do really well actually. The contouring of the bails, linking bar, and toe/heel were spot on. The heel bail needs to be moved to the forward position though, otherwise it won't rest into the heel appropriately. How well do the wire bails fit on the toe and heel welts of an Alien? Hi Teddy, I just tried it, they fit great! Awesome! Thanks so much for checking! 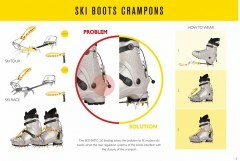 Are these the only crampons that allow the ski/walk lever of the Alien to move freely? 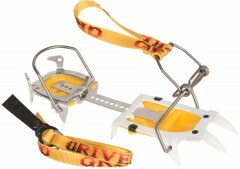 Also, do you think the toe bail system would fit on other crampons, say the Petzl Leopard? Hi Teddy, I can't test all other crampons, but this one has the best chance of working with boots that have ski/walk mechanisms that might collide with a standard heel bail. The toe bail requires a rigid heel bail so probably wouldn't work well with other crampons.